races that draw multitudes of viewers to the viewing stands. This is a race category that admits horses aged a minimum of five years competing to round a 4929 metres (3 mi 110 yards) distance with 19 fence obstacles over which the horses jump. 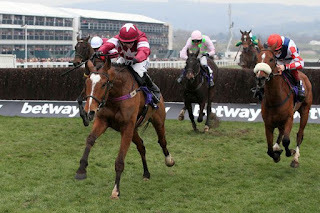 It is listed in the first grade of national Hunt Races. the fence colours. Research suggests that horses are not able to properly see the orange fences. Organisers are mooting the idea of changing the colors to blue or white in upcoming fixtures. The race takes the name of event sponsor RSA insurance. It has taken different titles to match varying sponsorships since it was established in 1946. The current sponsorship provides a purse of upwards of £150,000 with the winner taking home around £ 85,000. This explains why the race is considered one of the most lucrative Chase races at the Cheltenham festival. Eleven-year-old Birthlaw was the winner of the inaugural event and remains the oldest racehorse to take first place as at 2017. The race has been run on all but two years since its inception. The 1947 event was canceled due to frost and snow while the 2001 chapter suffered the same fate as other races after the foot and mouth scare. The challenging nature of the course and placement of obstacles makes the RSA chase a perfect preparation platform for horses eyeing the festival’s premier event- The Gold Cup. Lord Windermere, winner of the 2014 Gold Cup prepared for the ultimate challenge with an RSA win in 2013 ridden by Davy Russel. Since Pat Taaffe struck five wins in 1970, no other jockey has been able to achieve the same feat. County Handicap Hurdle is a privileged grade 3 race that is run on the final day of the Cheltenham Festival. Five years and older horses compete to complete a distance of 3,240 metres (2 mi 1 furlong) at the New Course of the Cheltenham racing venue. They go through eight hurdle obstacles in the process. A prize of around £45,000 goes to the race winner from a purse of around £90,000. The race has taken different titles during the time of its existence both in honour of big names in the horseracing industry and as part of sponsorship deals. 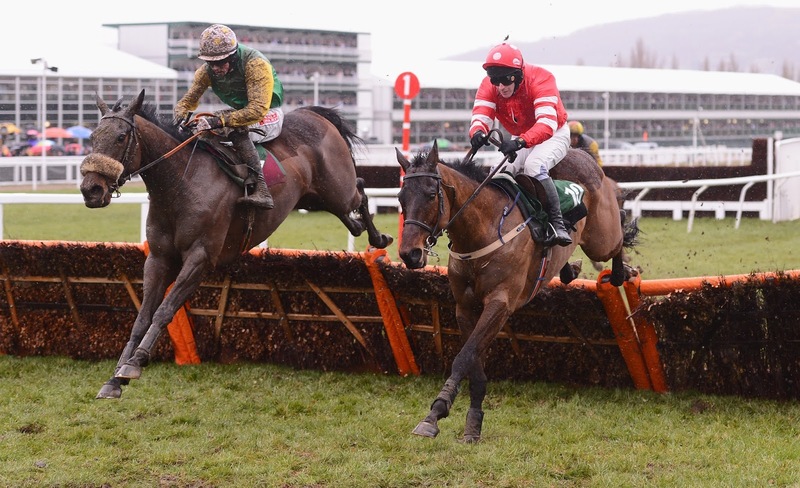 It was for a long time the closing race of the festival but, since 2009, it is run immediately after the day’s curtain raiser- the Triumph Hurdle. The race’s popularity is remarkable. Race viewers fill up many of the viewing areas to observe man and beast overcome the daunting hurdles, and a congratulatory cheering roar always meets the winner at the finish line. The race is regarded as one of the most challenging competition despite being a third-grade race. So much so that no single horse has been able to take first honours twice in this competition since as far back as 1946.
jockey. He rode for trainers Willie Mullins and Paul Nicholls who hold a joint record of four wins ahead of the 2018 event. This race has had cancellations on several occasions- once for an extended period- for reasons ranging from war, flooding, disease, snow, and frost. Like the name suggests, this one is a competition for inexperienced horses. 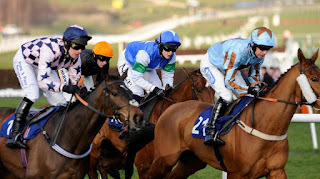 It is a grade-3 rated hurdle race that admits strictly four-year-old horses. The novice hurdlers compete over a distance of 3,319 meters (2 mi furlong), jumping over eight hurdles in the process. The competition takes place on the left-handed, turf layered Old Cheltenham Course. This race attracts horses that are looking to make a career in the hurdling competitions and is popular with gamblers who are looking to make long-term investments in potential horses. It is pretty much a scouting race for race stakeholders. his trained horses finish 28 times ahead of all others. Amateur jockey Miss Nina Carberry rode Dabiroun to victory in the inaugural race. The race’s popularity grew steadily from when it was first run, culminating in a promotion from Listed level to the current Grade 3 in 2009. It is a pretty competitive race that no single jockey has managed to win twice over its 13 years’ existence. The £75,000 purse prize also makes it one of the better performing races in its grade. Paul Nicholls is the leading trainer having handled three horses that swept top honours in this race. level and are already disqualified by age anyway. The growing popularity of the race as a pro-gauge means most owners are withholding their horses from other events at the start of the year in order to register them here.